Documents show that the military has investigated a lot of fringe science. 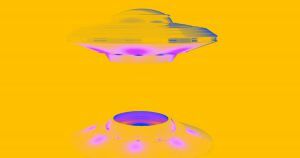 We already knew that the U.S. Department of Defense had secretly funded research on unidentified flying objects — yes, UFOs — thanks to 2017 reporting by the New York Times and the Washington Post. The newly released documents come thanks to Steven Aftergood, the director of an organization called the Federation of American Scientists’ Project on Government Secrecy. He obtained the files via a Freedom of Information Act request. Some of the projects described in the document cache contain almost no details, but mainstream research projects corroborate others. But the full scope of the Defense Department’s research into fringe technologies won’t be clear until more documentation becomes publicly available.